You have to quit confusing a madness with a mission.” — Flannery O’Connor. Fanaticism consists of redoubling your effort when you have forgotten your aim — George Santayana. It seems that if you have sufficient funds, there is no limit to the unmitigated nonsense you can promote in the guise of profound policy-oriented research. Last week, we were witness to a jarring corroboration of this disturbing assessment, when the well-heeled Institute for National Security Studies, (INSS), recently dubbed “the leading Think Tank in Israel”, released its plan for “A Political-Security Framework for the Israeli-Palestinian Arena”. Compiled by a team of well-known, in-house INSS researchers, including former high ranking IDF officers, senior diplomats, and experienced participants in past negotiations with the Palestinians, the “plan” presents a perverse and paradoxical potpourri of machoistic rhetoric as camouflage for unilateral concessions, Orwellian use of language to conflate diametrically contradictory concepts as being somehow conceptually consistent and forlorn hopes that repackaging past failed endeavors will somehow ensure future success. It is a transparent, last-ditch attempt to salvage the increasingly discredited doctrine of two-states-for-two-people, the INSS “plan” attempts to put the terminally ailing dogma on emergency life support. In sharp contradiction to what the public has been force-fed to believe for much of the last two-and-half decades — i.e. that Israel could agree to the establishment of a Palestinian state because there was a viable peace partner on the Palestinian side — the head of INSS, Maj-Gen. (res.) Amos Yadlin, now told us — in no uncertain terms — that there wasn’t! Echoing precisely what two-state opponents have been insisting on for decades, he reiterated: “There is no-one to agree with, there is nothing to agree on — and the implementation [of any two-state initiative] is dangerous”. Indeed, the “plan” explicitly specifies that its “strategic purpose” is “preservation of the two-state option” — an option INSS admits has failed disastrously in the past, is unfeasible in the foreseeable future, and whose implementation is dangerous. This from “the leading think tank in Israel”? Go figure! Although INSS is (retroactively) highly critical of the 2005 unilateral Disengagement from Gaza, the internal “logic” (for want of a better word) of its new “plan” is strongly reminiscent of that presented as the rationale for that disastrous prior miscalculation. Using similar resolute rhetoric to describe proposed, unrequited concessions to Israel’s enemies, it suggests doing what has been unsuccessfully tried before — only more so. Indeed, the more cynically minded might well be forgiven for suspecting that it is a blueprint whose primary goal is demolition of Jewish communities, rather than the promotion of future resolution of conflict or enhanced security for Israel — a suspicion explicitly intimated to me by one former IDF Major-General. — Israel complete the security barrier and forgo all claims to any territory in Judea-Samaria beyond it. - Israel continue building in the “large settlement blocs” within the security barrier, which INSS assumes will remain part of Israel in any future agreement, but freeze all construction in, and government support of, Jewish communities beyond the barrier. - Israel unilaterally “transfer the authority for security in Area B [today under Israel’s authority] to the Palestinians” — the same folk whose “extreme [Judeophobic] ideology” precludes any peaceable resolution — see above. From its published material is not quite clear how, and where, INSS envisions the IDF deploying in order to maintain “operational freedom of action throughout all of Judea-Samaria, from the Jordan River westward”. 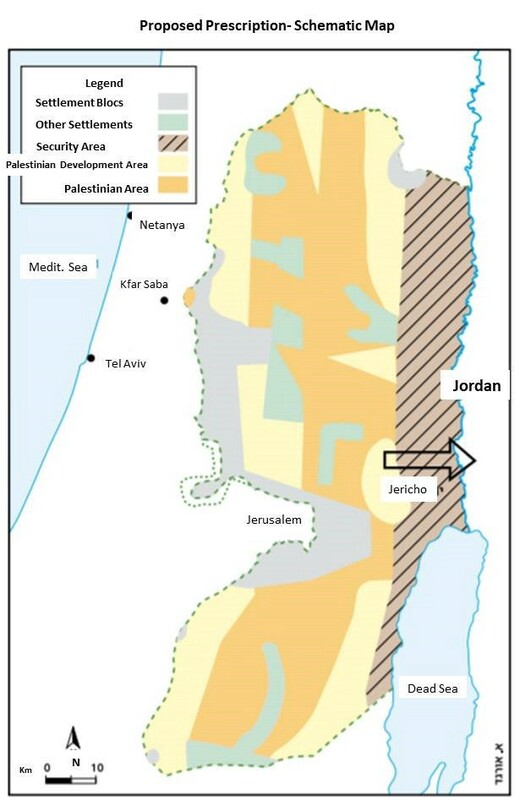 However, in one of the appendices that accompany the “plan”, we read: “The IDF will deploy in the external envelop of Judea-Samaria, reserve for itself the right of operational freedom of action in the Palestinian areas and continue to be responsible for security until some other [unspecified] arrangement is attained. This of course raises several trenchant — and unanswered — questions. For example, who is supposed to ensure the safety and security of the Jewish communities in those portions of Area C beyond the barrier, and how is this to be carried out. If the IDF is deployed in the “external envelop” of Judea-Samaria, as implied, how will the day-to-day security of these communities be preserved. Will they be left to fend for themselves — with the IDF forces being dispatched only after an attack is perpetrated — to pursue and punish rather than to preempt and prevent? Or are they to be deployed within the territory beyond the barrier, over which Israel has forfeited any claim to sovereignty — exposing themselves to danger of attack, in order to patrol and protect doomed Jewish communities, destined to shrivel and expire? This latter possibility is clearly untenable and will, sooner rather than later, precipitate irresistible pressures — both domestic and international — for Israel to evacuate its forces — and its unprotected communities, without any quid-pro-quo from the Palestinian side. Indeed, INSS’s pretentions to address the errors of the 2005 Disengagement by refraining from full IDF withdrawal from territory it excludes from Israel’s final borders, only underscore its fatal flaws and just how poorly thought out it is. For, it means that, by Israel’s own admission, any territory beyond the barrier in which the IDF is deployed, will, in a stroke, be converted from “disputed territory” to “occupied territory”, and the IDF from a “defense force” to an “occupying force”. Accordingly, all the Palestinians need to do to ensnare the IDF in what will inevitably become an impossible impasse is…well, nothing. All they need to do is refrain from reaching any agreement and wait — until mounting IDF casualties in a “foreign land” create increasing domestic pressure to “bring our boys back home”; and growing international impatience with open-ended “occupation” creates growing external pressure, making continued IDF deployment no longer tenable — and withdrawal becomes unavoidable, without any permanent settlement or concrete, sustainable security arrangements. Although the INSS protests that its “plan” is not a repetition of the disastrous unilateral “disengagement” from Gaza, it is in fact, precisely that — executed in stages, rather than in one fell swoop. Thus, instead of immediately demolishing the Jewish communities, INSS proposes strangling them — and letting them wither and die. Instead of proactively giving the IDF orders to withdraw, INSS proposes creating conditions that would make its deployment unsustainable. But in the final analysis the result would be the same — the removal of any Jewish civilian and military presence beyond the security barrier. Clearly, this raises several troubling questions. For example, what precisely is a “responsible and functioning Palestinian entity” and who decides that? Moreover, for how long must the Palestinian entity behave according to these yet-to-be specified criteria so that it could indeed be judged “responsible and functioning”? A month? A year? A decade? 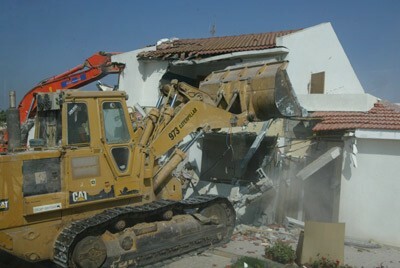 South Lebanon all over again? More to the point, what if such a duly judged “responsible and functioning Palestinian entity” does in fact emerge, but once Israel relinquishes control of this strategically vital territory, it either reneges on any prior agreement on “security arrangements that satisfy Israel” or is replaced by a successor regime that has no commitment to any such “arrangements”. But above all, what happens if no such “responsible and functioning Palestinian entity” materializes? What will then befall the fate of the vital strategic areas? Will the IDF continue to control them indefinitely — despite the fact that Israel makes no claims to sovereignty over them? -How will Israel justify internationally its open-ended control of territory, to which it explicitly admits it has no claims? -How will it justify domestically ongoing IDF casualties due to continued deployment in “alien” lands almost totally detached from Israel and physically separated from it by a Palestinian entity that is neither “responsible nor functioning”? It takes little predictive acumen to the foresee the inevitable outcome of these pressures: The eventual unilateral withdrawal of IDF forces — precisely as was the case in South Lebanon, when a combination of international disapproval and domestic clamor resulted in the total abandonment of the territory to Hezbollah. 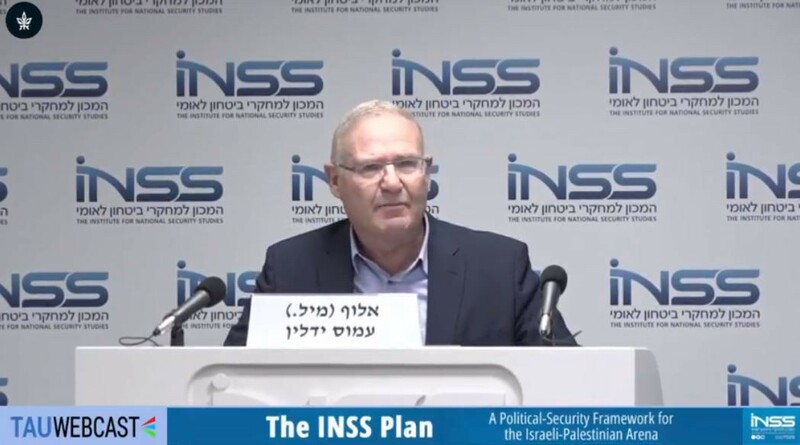 The INSS “plan” repeatedly refers to its aim of “reducing friction” between Jews and Arabs. This claim has an eerie ring to it, reminiscent of the rationale advanced to justify the 2005 Disengagement from Gaza…and look how splendidly that worked out! Indeed, as the case of Gaza — the ultimate effort to “reduce friction” — indelibly shows, whenever “friction” is reduced, the Palestinians, rather than focus on developing their own society and economy, engaged in enhancing their offensive capabilities to attack Israel and its citizens. There is little reason to believe that very much the same would not occur if the Palestinians — afflicted, as INSS itself concedes, with “ideological extremism” — were left to their own devices in Judea-Samaria. To be sure, INSS provides no persuasive argument why it would not. 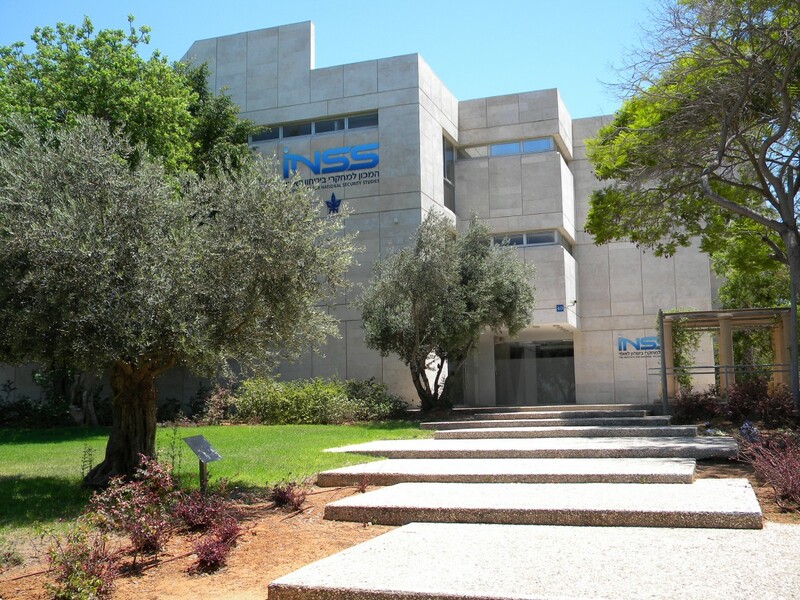 Indeed, with almost childlike naiveté, INSS suggests that the international community — including the Arab world — could be harnessed to endorse a unilateral Israeli initiative that would offer the Palestinians far less than they have rejected before! But then, of course, that might be because the “plan’s” real goal is nothing more than an elaborate ruse to accomplish something else completely — the removal of Jewish communities beyond the present security barrier — as I alluded at the beginning of this essay. After all, that is the only objective it is likely to attain! In marketing its “plan”, INSS invokes catchy rhetoric to mask its substantive lacunae. It is presented — somewhat incongruously — as a sort of political “WAZE” (the widely used Israeli GPS navigation system) that will provide Israeli policy-makers freedom of choice in selecting the best route to arrive at INSS’s preferred destination — a homophobic, misogynistic Muslim majority tyranny on the fringes of greater Tel Aviv. But of course WAZE is “destination agnostic”. It will lead you into a treacherous quagmire if that is what you set as your destination — as has INSS. However, to be fair, INSS does correctly diagnose the large Arab population in Judea-Samaria as a major — arguably, the major — threat to Israel as the nation-state of the Jews. But, clearly, the way to deal with an emerging demographic threat is not to make Israel untenable geographically by perilous territorial concessions, but by dealing directly with the demography itself — via a vigorous policy of incentivized emigration and humanitarian relocation of the Arab residents of Judea-Samaria — as I have urged repeatedly elsewhere. The time has come for INSS to accept political realities and re-calibrate its political WAZE accordingly.